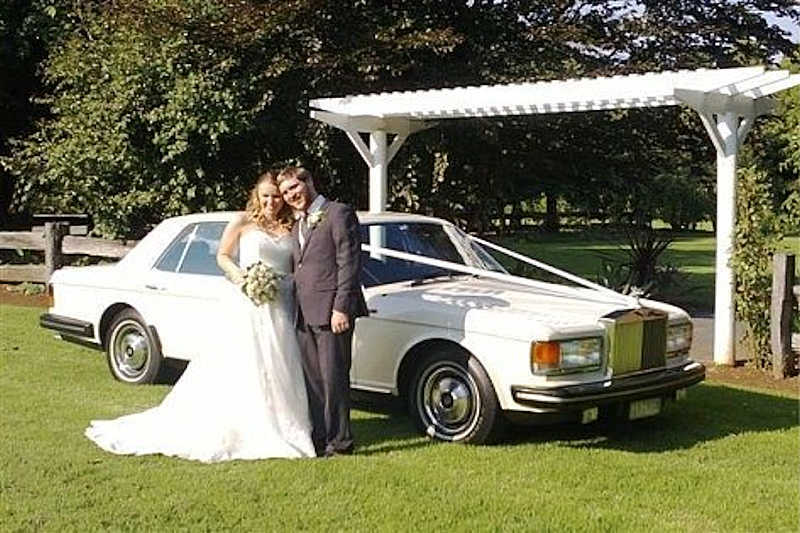 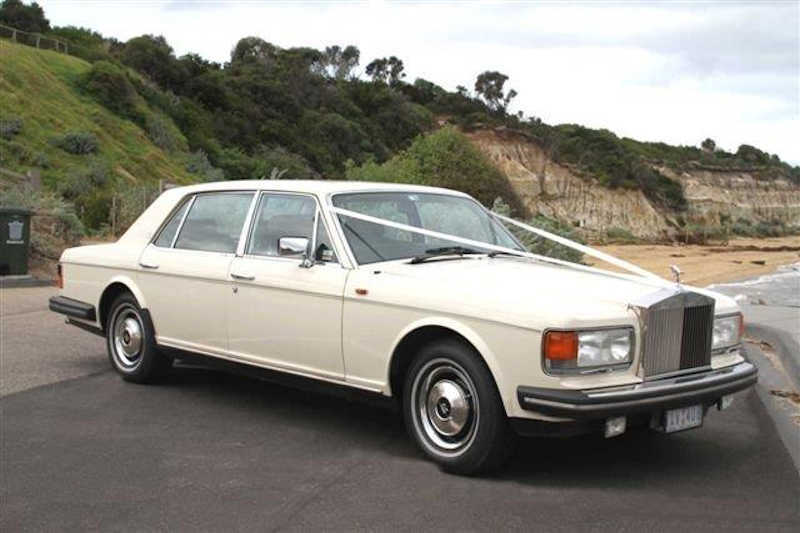 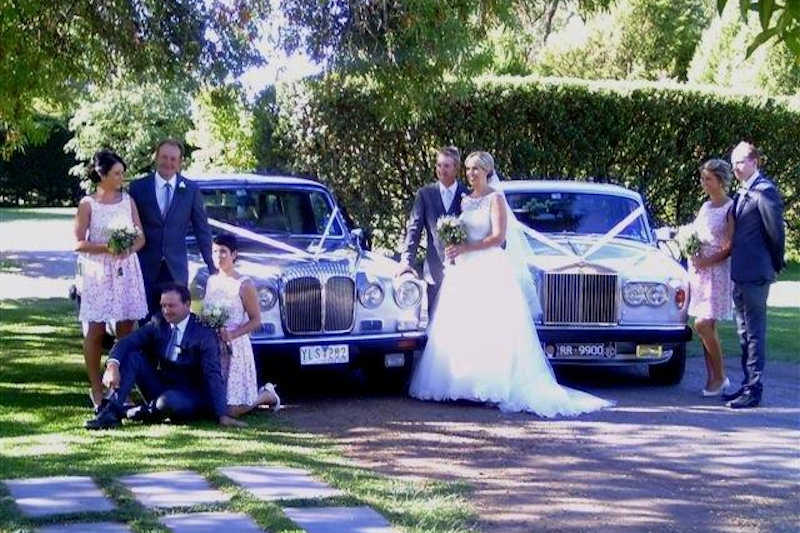 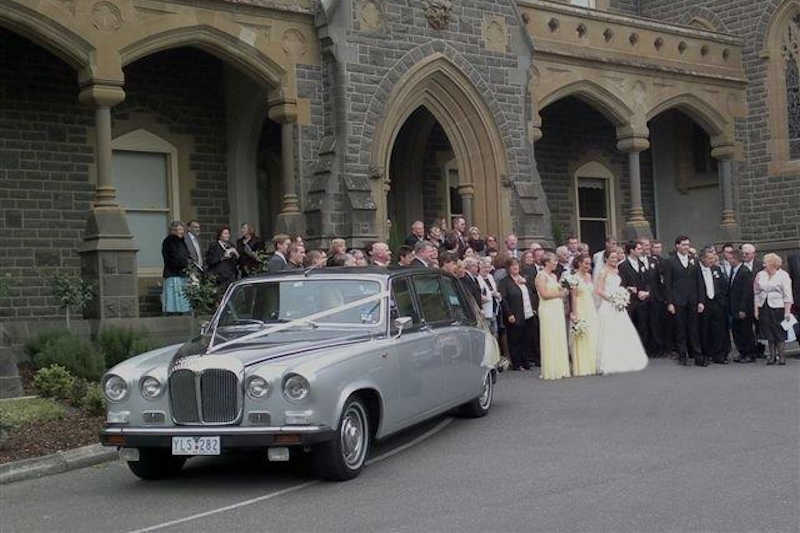 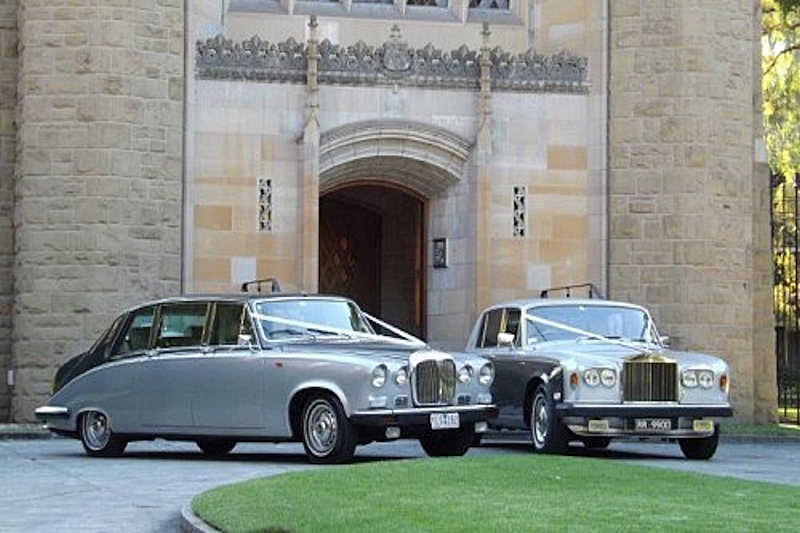 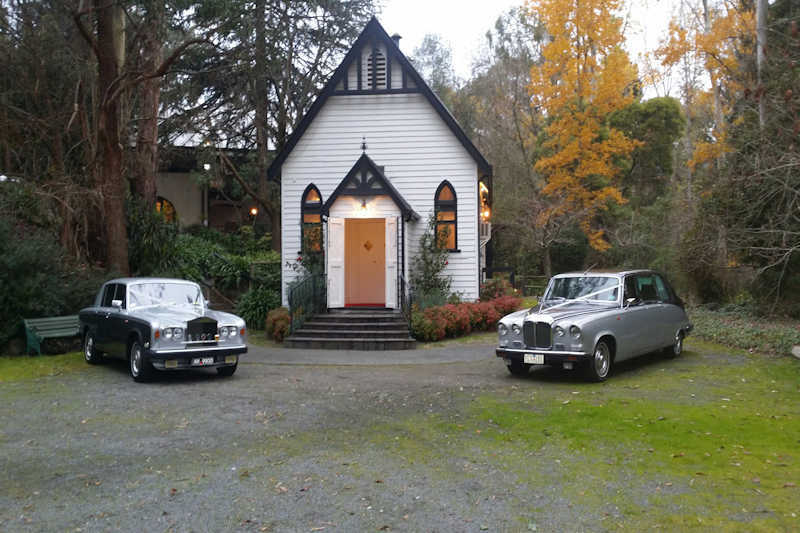 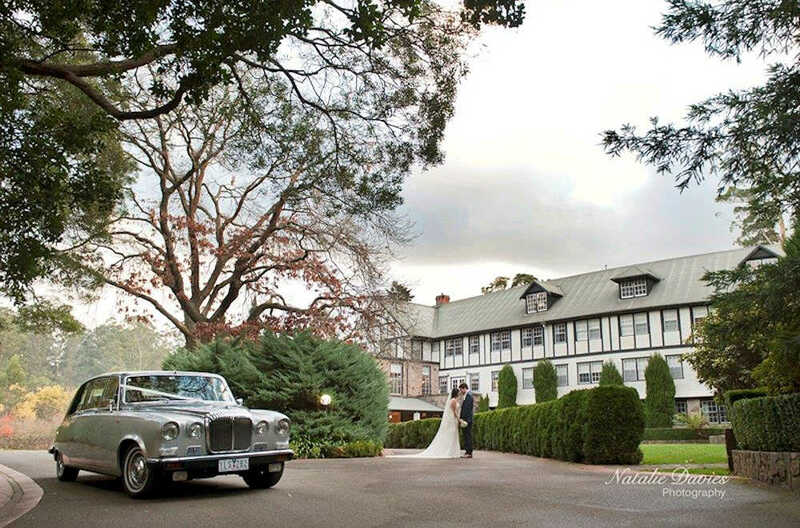 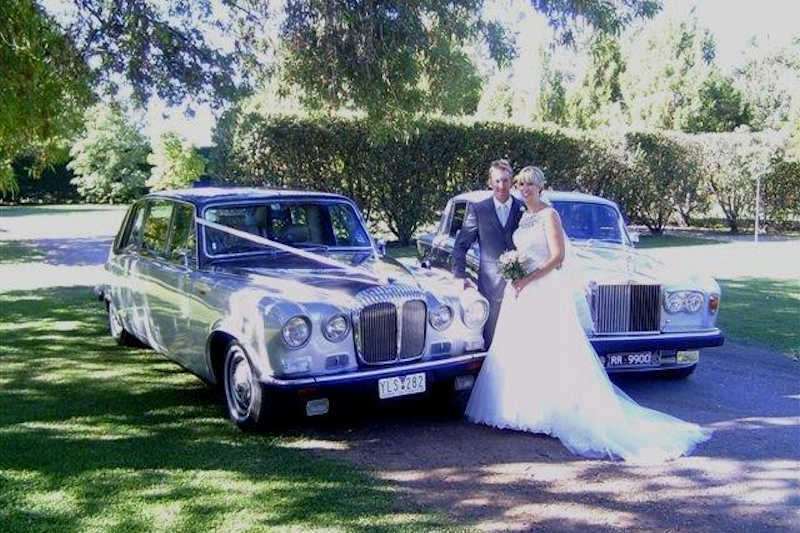 Arrive like a princess at your wedding and stand out from the rest in our Daimler State Limousine, 1982 Rolls-Royce Silver Spur Long Wheelbase Saloon or 1977 Rolls-Royce Silver Shadow Saloon. 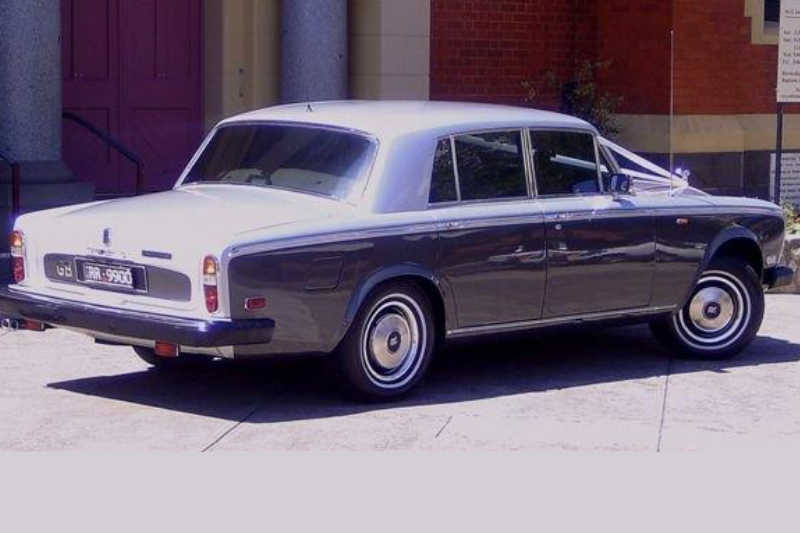 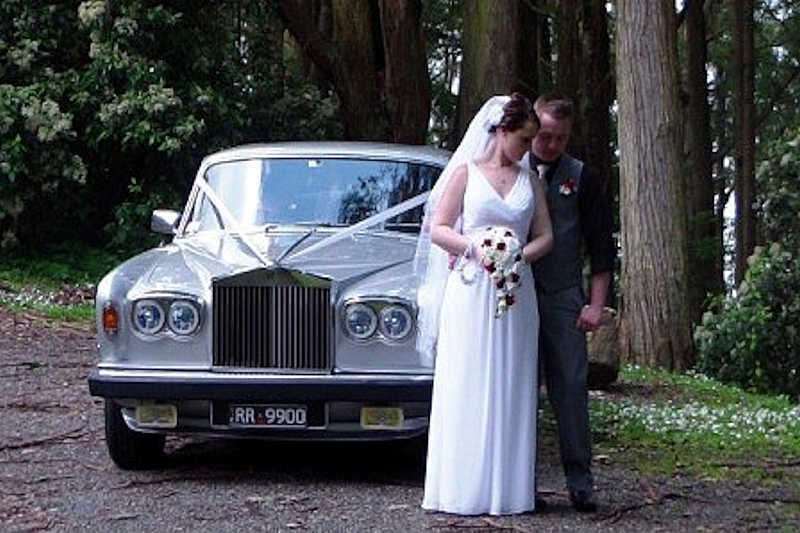 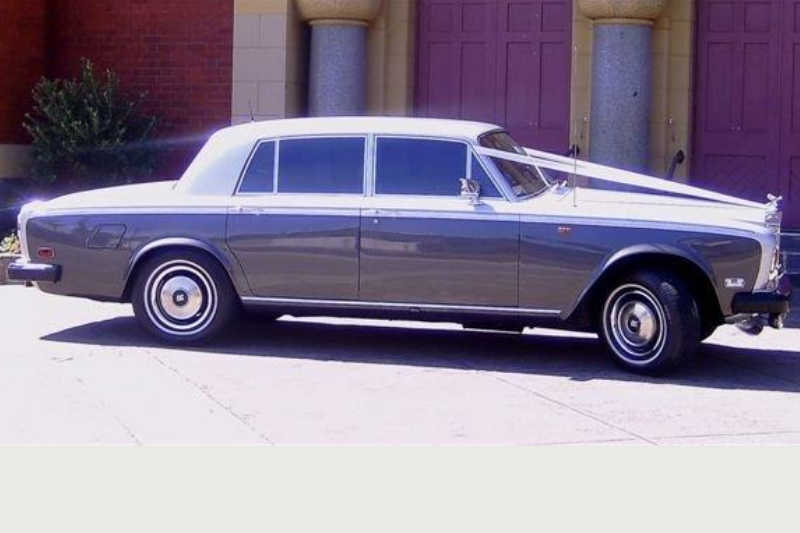 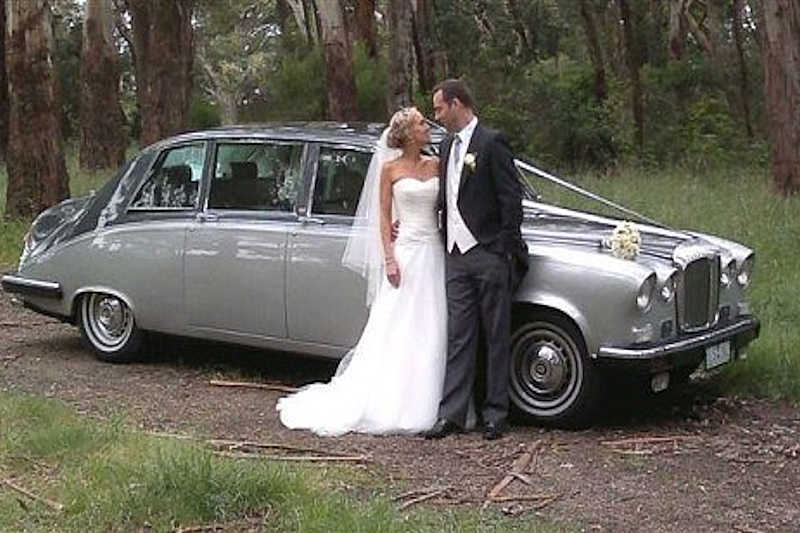 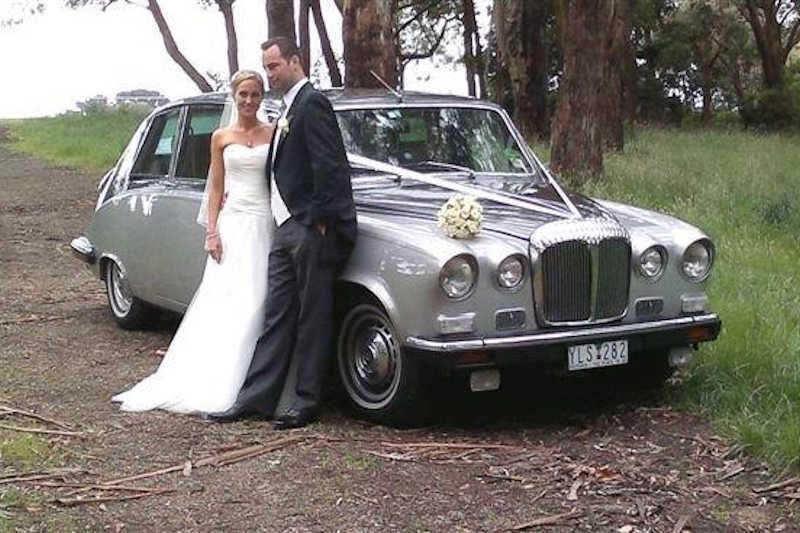 The Daimler Limousine is striking in its two-tone silver livery and is a perfect contrast to your white wedding gown (a favourite with photographers). 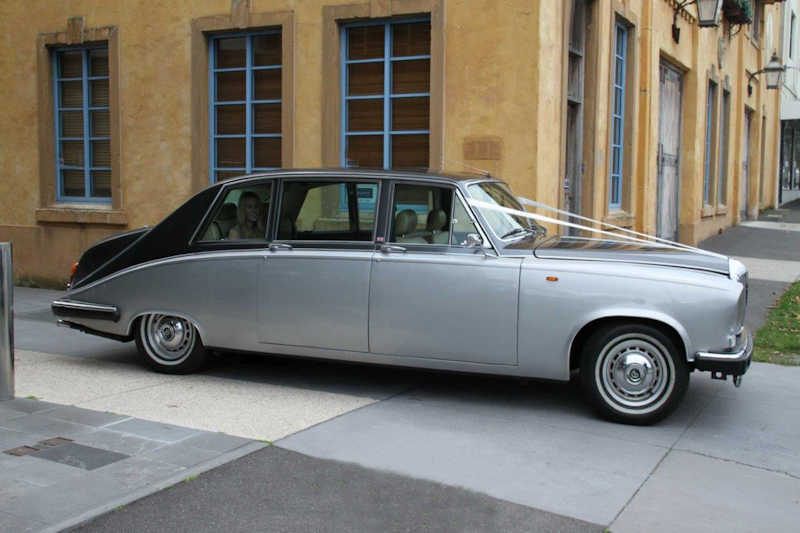 As the principle wedding carriage, the rear passenger compartment offers an enormous amount of legroom – large enough for the most extravagant of dresses. 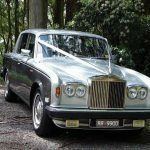 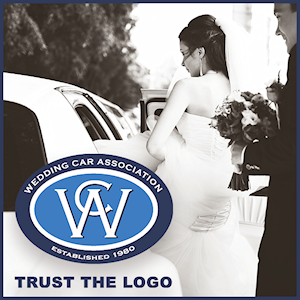 As a bridesmaids/groomsmen carriage, all seats can be folded out to comfortably seat 6 passengers in the rear compartment and a 7th in the front seat. 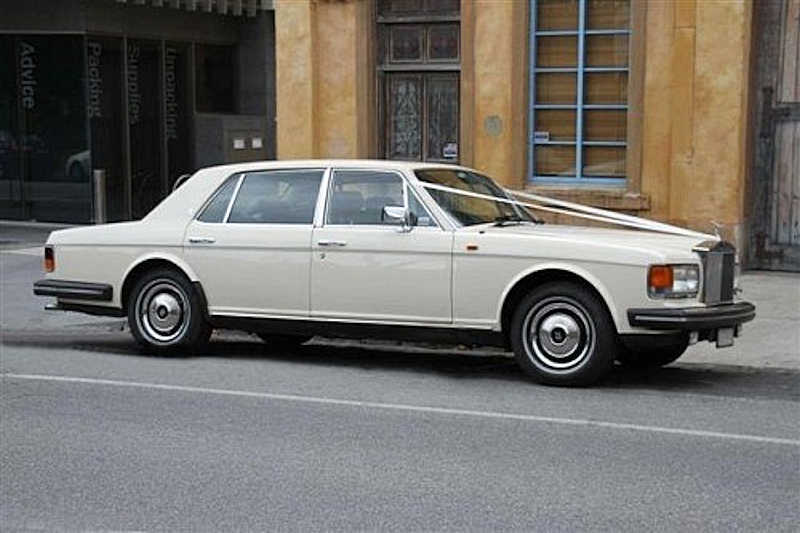 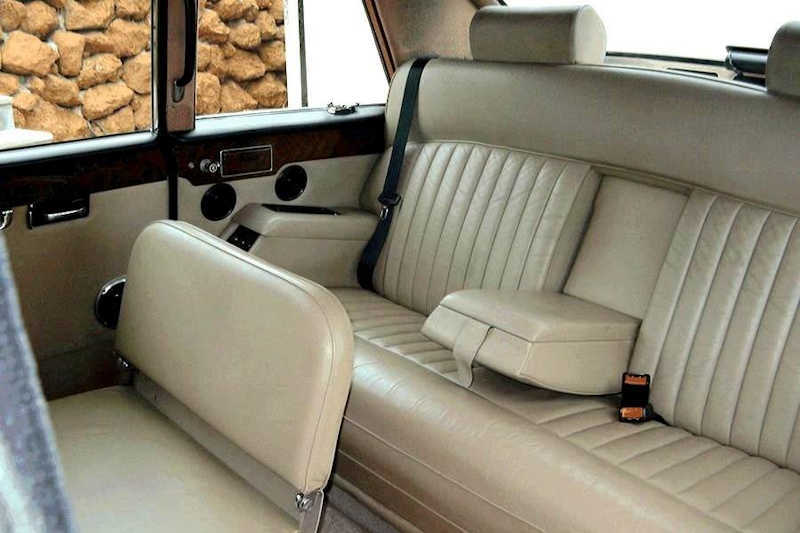 For the bride who prefers the traditional white wedding car, the Rolls-Royce Silver Spur has nearly half a metre of legroom to accommodate a full wedding gown without getting cramped. 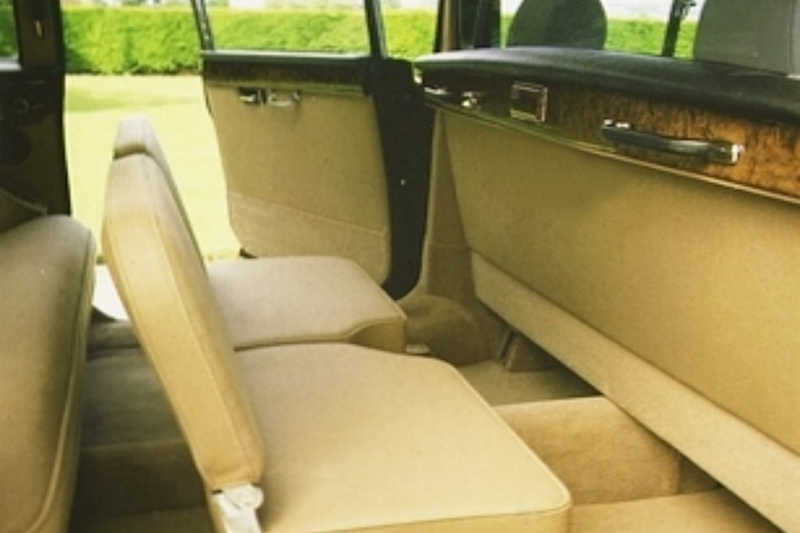 Both Rolls- Royce motorcars can comfortably seat 3 passengers in the rear and 1 in the front. 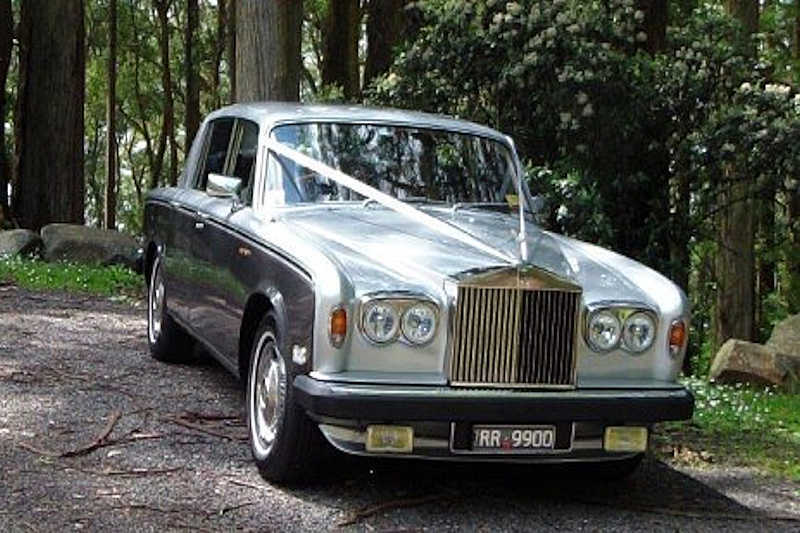 All of our cars are traditionally styled but offer modern comforts such as air-conditioning and heating and are driven by experienced, courteous and competent chauffeurs.